MidCity Development today announces that Jamie Weinbaum has joined the company as Executive Vice President of Development. Mr. Weinbaum, who previously served as Director of the D.C. Office of Zoning, will oversee MidCity’s development activity. “We are very exited about Jamie joining the MidCity team. His experience in development and local government in Washington and unique understanding of different elements of the development landscape will be very beneficial assets as we invest in transformational projects going forward.” said, Eugene Ford, Jr., Chairman of MidCity. Most recently, Mr. Weinbaum was Chief Operating Officer of Ditto Residential, where he led all development and construction-related activities as well as long-term strategic growth initiatives. Mr. Weinbaum also has experience managing large-scale, mixed-use residential and retail projects at The JBG Companies. Mr. Weinbaum, an attorney who originates from the greater New York City region, will work extensively on community engagement and entitlement-related items and will join Michael Meers in leading the redevelopment of Brookland Manor Apartments into the newly envisioned RIA. The new mixed-use and mixed-income community will ultimately included up to 1,760 residential units and up to 181,000 square feet of commercial space to include an approximately 55,000 square foot full service grocery store and other neighborhood serving retail. The project will also provide a 0.9-acre community green and 0.5-acre pedestrian plaza as well as a new, highly connective street grid that includes the introduction of four new streets. 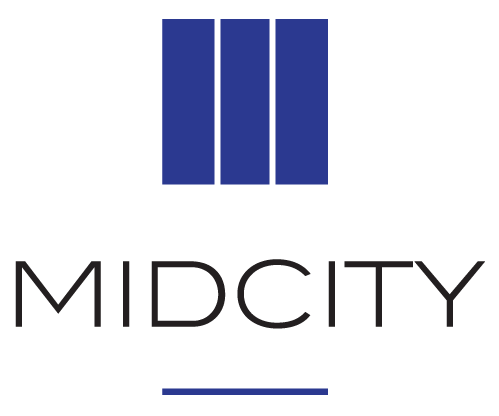 “I am thrilled with the opportunity to join MidCity as the company looks to set a new standard for mixed-income and mixed-use projects. I look forward to working with all stakeholders to bring to life revitalized communities that better serve all residents of our City.” noted, Mr. Weinbaum. 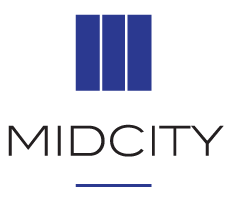 MidCity MidCity offers a proud tradition of expertise in the development, acquisition, oversight, and management of multifamily rental housing. Unlike many real estate development and investment firms, MidCity focuses on long-term value and enduring relationships, proudly carrying on the tradition of strategic public-private partnerships and quality housing established by our esteemed founder, Eugene F. Ford. Founded 50 years ago, MidCity is a family-owned firm with a 40-year history of committed investment in the Rhode Island Avenue Corridor. Dedicated to RIA’s sustainable evolution, MidCity will remain invested in the community indefinitely. MidCity owns approximately 9,000 apartment units (with the preponderance of them in the Washington, DC MSA) and its affiliated management company, Edgewood Management Corporation, manages approximately 32,000 apartments, making it one of the 50 largest managers of multifamily real estate in the United States.